For more about Crab Decks & Tiki Bars of the Chesapeake Bay, Second Virginia Edition, e-mail susan@crabdecksandtikibars.com or call Susan Wade at (202) 531-7135. 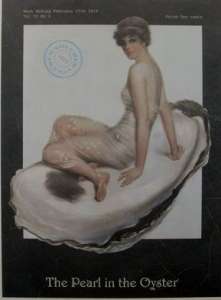 Right around the time of year when oysters get nice and plump for winter, a new book called Chesapeake Oyster Lovers’ Handbook was released. Written by the authors of Crab Decks & Tiki Bars of the Chesapeake Bay, this new book is the indispensible guide to everything oyster on the Bay. Fans of fresh local bivalves can journey through Maryland, Virginia, and Washington, DC, to sample the subtle flavors of the Chesapeake’s cherished seafood. 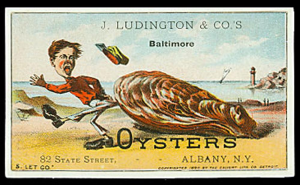 Imagine bellying up to a bar where dedicated shuckers pry open shells and gently place a dozen shimmering oysters on a silver tray laden with ice. 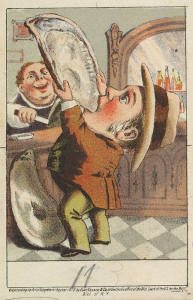 You tip back your head, take a slurp, and relish the briny taste of the sea. 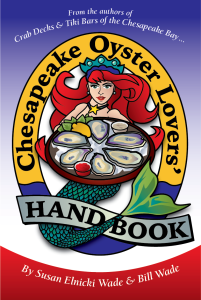 Chesapeake Oyster Lovers’ Handbook takes you there. Whether you enjoy a cold beer at buck-a-shuck happy hours or prefer champagne at more formal white-linen restaurants, this guide presents oyster houses that match every mood and budget. Bay destinations include Baltimore, Annapolis, Washington, Virginia Beach, Old Town Alexandria, Norfolk, Cambridge, Easton, and the Eastern Shore. 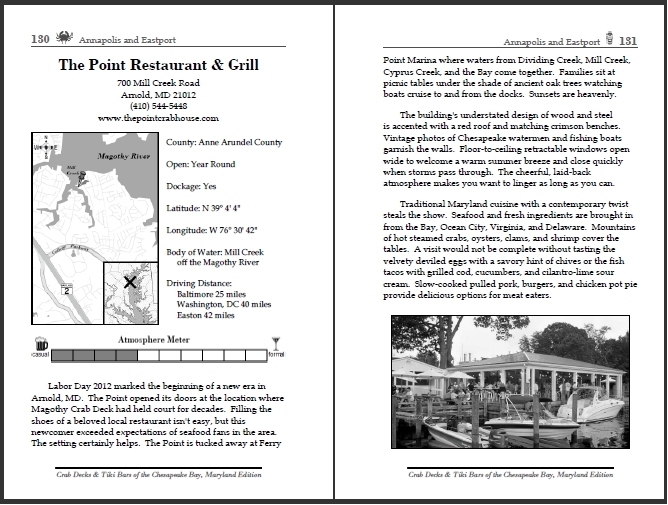 If you’ve ever scanned a restaurant menu or daily specials board and wondered which oysters will suit your taste, Chesapeake Oyster Lovers’ Handbook can help you order like a pro. 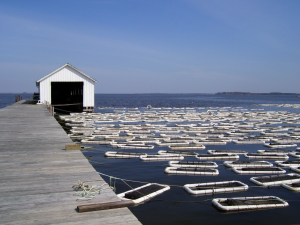 This guide identifies Chesapeake oyster aquafarms and their brands, tells where they’re grown on the Bay, and describes their unique flavors. Whether you’re a connoisseur or an eager novice in the world of Bay oysters, you’re certain to enjoy hearing from local experts in the Chesapeake oyster industry. Chesapeake Oyster Lovers’ Handbook presents interviews with leaders in the field, including restaurant chefs, aquafarmers, musicians, master shuckers and more. They tackle topics such as what makes a good oyster bar, what you should drink with oysters, how Chesapeake culture is influenced by oysters, and why one species has so many flavors.